ADCO staff got their hands dirty last week, contributing a day of labour for a good cause. 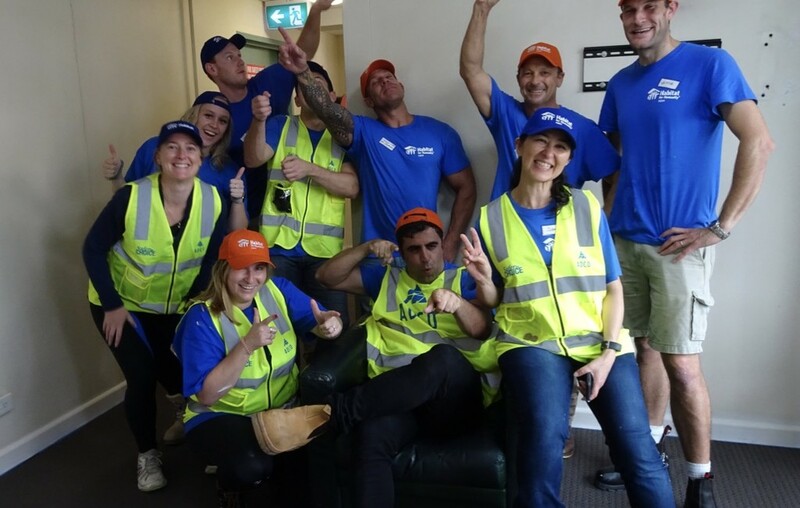 A small group of employees headed out to a Habitat for Humanity's women’s shelter in Sydney where they helped reinvigorate the interiors of the building. Tasks involved preparing walls for a new paint job, painting ceilings, and freshening up bedrooms and common areas. Each shelter can accommodate up to 52 women at any one time. While the facilities are basic, they are used regularly by women who need a safe place to get back on their feet. Much of the funding for these shelters comes from Salvo's Red Shield Appeal, which ADCO and its chairman, Judy Brinsmead, has supported for a number of years, and where our very own Tom Hill is an advisory board member. Staff were thrilled that their work would potentially brighten up the days of those using the shelter.